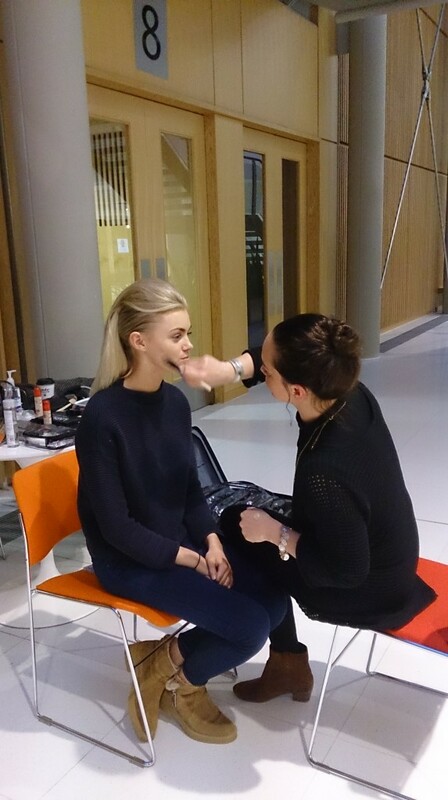 Having been a closet fan of modelling shows like America’s Next Top Model in the past, I jumped at the opportunity to help out at the Charity Fashion Show at Nottingham Trent University on the night of 22nd January. It was only my first week starting out at Model Students as their social media intern, so I thought it would be the best way to get straight in into this brand new world of fashion and modelling. Having arrived before the show amidst all the preparations backstage, I was initially overwhelmed by all the goings-on in the prep/dressing room. The models were having their hair and make-up done, while the various designers were busy dressing the models in their latest outfits. Anna, Pauline and Jose were fine-tuning the running order for the show, while making sure everything and everyone was in place and ready for Sarah Clifford’s big night! 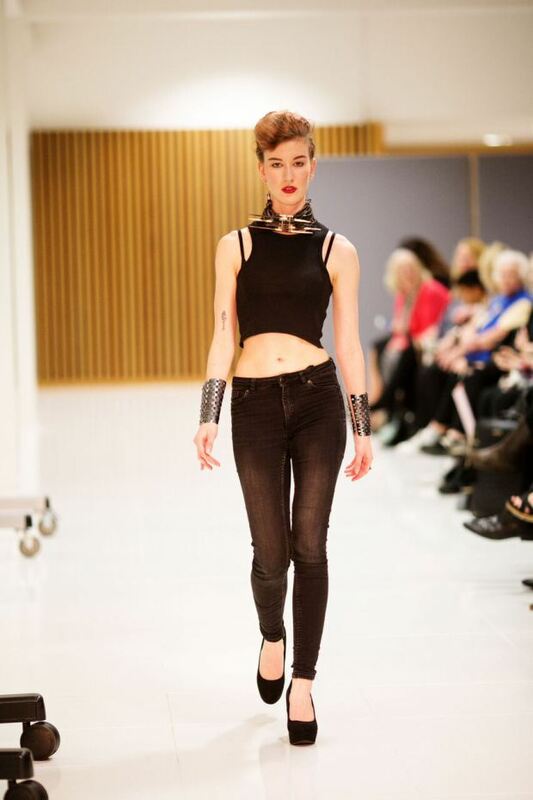 The show was a result of weeks of preparation and hard work from Sarah bringing together designers, hair and make-up, photographers, musicians, and models to raise money for a charity that is close to her heart. 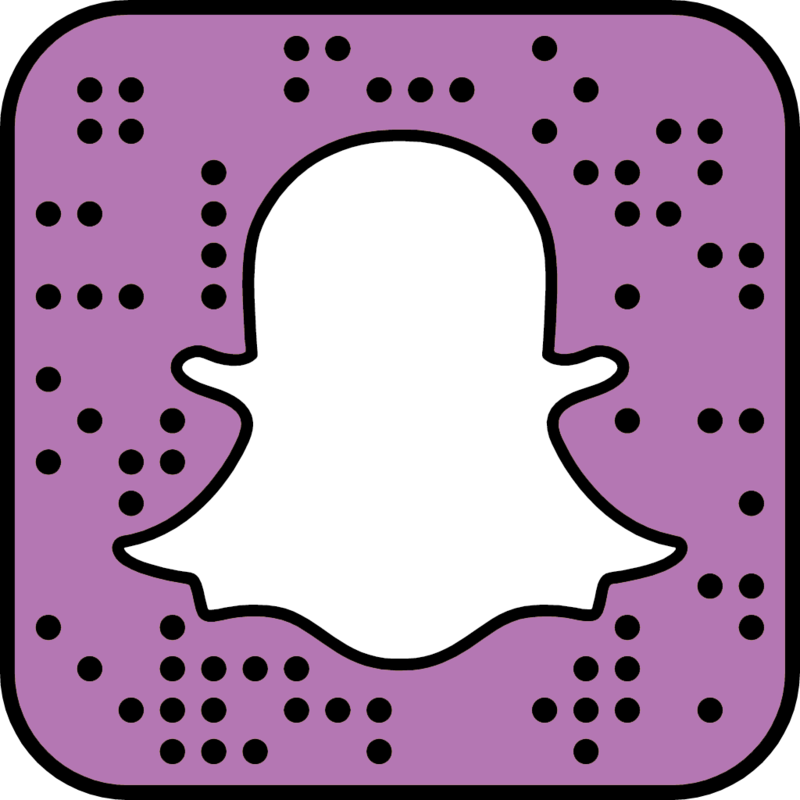 I went about taking photos of the models, snapping ‘live’ behind-the-scenes footage for our Snapchat users. I was hoping to give our social media followers a glimpse into what life is like for the models just before they hit the runway. 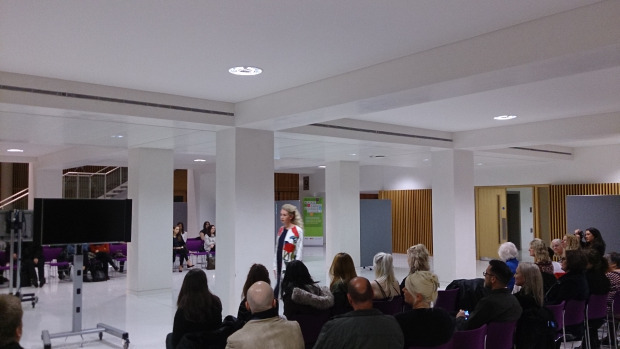 With this fashion show benefitting Maggie’s Cancer Centre in Nottingham, I was also hoping to capture the moments that went behind making such a meaningful event happen. As people started filtering into the building, a sense of anticipation was growing. Backstage, it was no less intense and hectic, with last minute preparations being done even as Anna opened the show with her lovely introduction about the fashion show and its good cause. Everyone’s attention then turned to the start of the runway, with the first models strutting down with much confidence, with a little panache at times. It was hard to believe that some of these models were walking the runway for the very first time – such was their finesse on the catwalk. 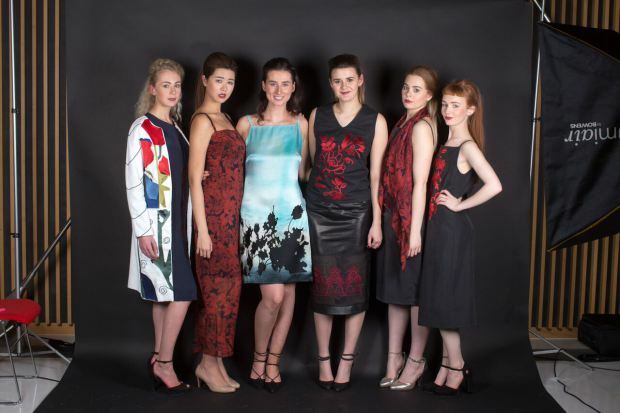 The crowd was certainly impressed with the models as well as the designs they were wearing. While the models were exuding poise on the runway, it was a little contrasting backstage. They needed to hurry back to the dressing room for their quick change into the next outfit. 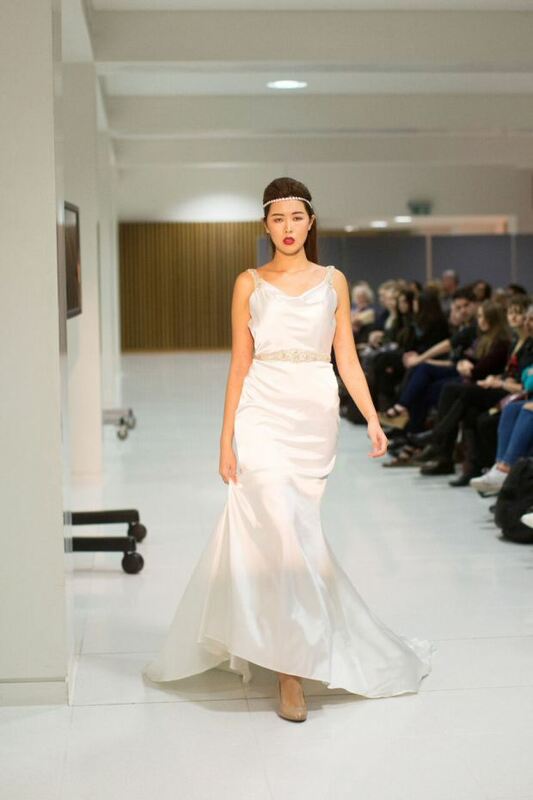 One of the highlights of the fashion show was definitely the bridal gowns from Jena-Louise Bridal Wear, with the heavenly designs matching the gorgeous models who were wearing them. Throughout the show, I was rushing back and forth around the area, as I tried to snap the models’ walk and the event as a whole. More importantly, I was trying to capture the emotions of some of the models just after each walk for our Snapchat story of that night. Capturing their delight and enthusiasm away from the runway, even as they needed to rush back to change into the next outfit, just showed how much this Charity Fashion Show meant to them. 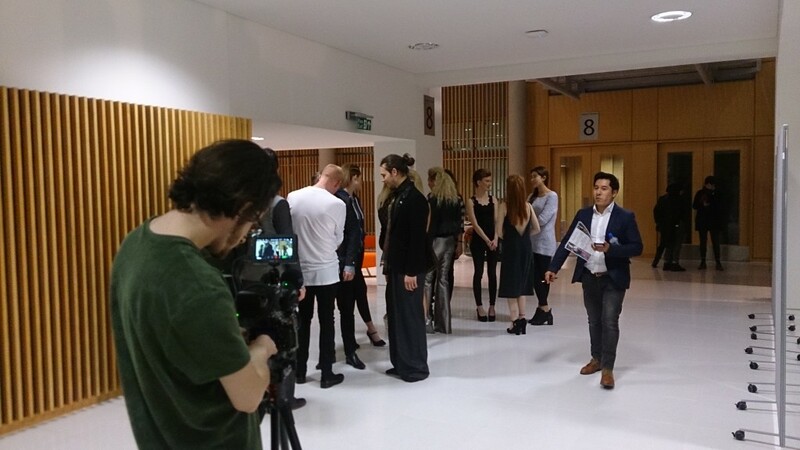 The event highlighted just how supportive the Model Student team are of each other, the guys and girls who modelled were happy to give up their time to support Sarah. Equally Sarah putting so much time and effort into the show to support such a great charity. This simply emphasised how much these models were more than just pretty faces. I am absolutely grateful to be part of this event, and see for myself the positive work that can be done by the modelling and fashion industry for a good cause. I will definitely be looking forward to helping out at more events in the near future! Catch a glimpse of what happened behind-the-scenes at Sarah’s event with this video shot by dgtl concepts! Having left sunny Singapore to study in the UK over two years ago, Darren is in his final year as a Media and Communications undergraduate at The University of Nottingham. Having undertaken summer internships in several media agencies, he’ll be hoping to help expand the company’s social media presence. Away from school, Darren enjoys watching sport and is always open to a leisurely kick-about on the weekends. He also has a keen interest in the game of poker, and dreams of turning pro one day.